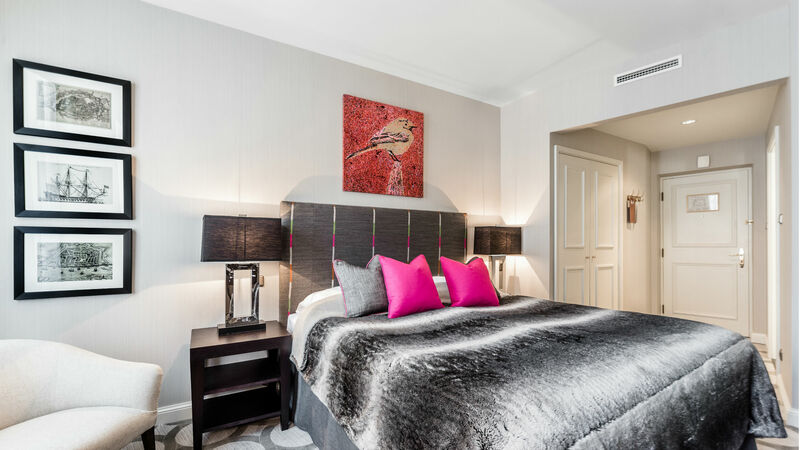 The Superior King and Twin Rooms offer luxurious elegance with color-balanced tones and comfortable, contemporary design by Andrew Martin, the award-winning interior design firm. Guests are able to enjoy all the modern comforts and technology expected from a leading 5-star hotel. 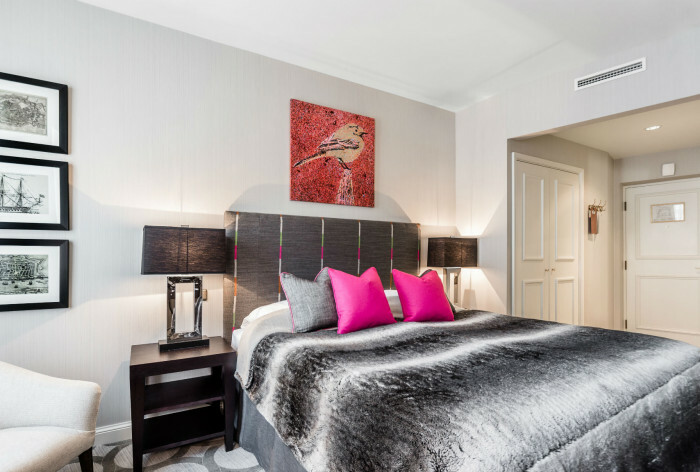 Whether you are travelling for business or pleasure, the exceptional accommodation and quality of services offered by the Grand Palace Hotel make it an ideal choice for your stay in Riga, Latvia. 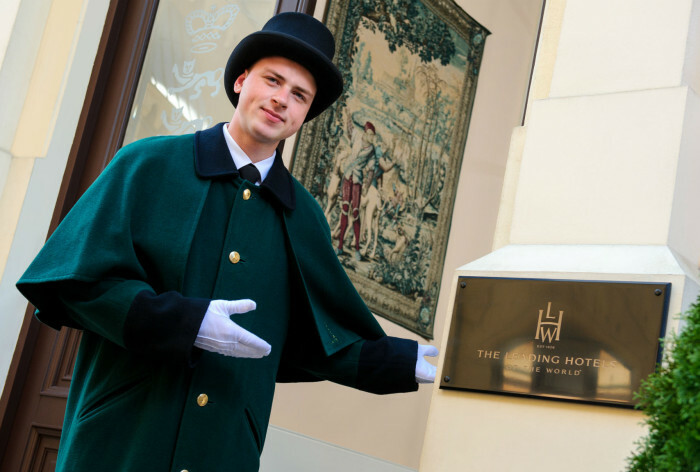 The elegant rooms and welcoming atmosphere, together with the attentive service of our staff, ensures that our guests will enjoy their stay at the Grand Palace Hotel, and will be able to look back with great fondness of their fascinating visit to the historic city of Riga. 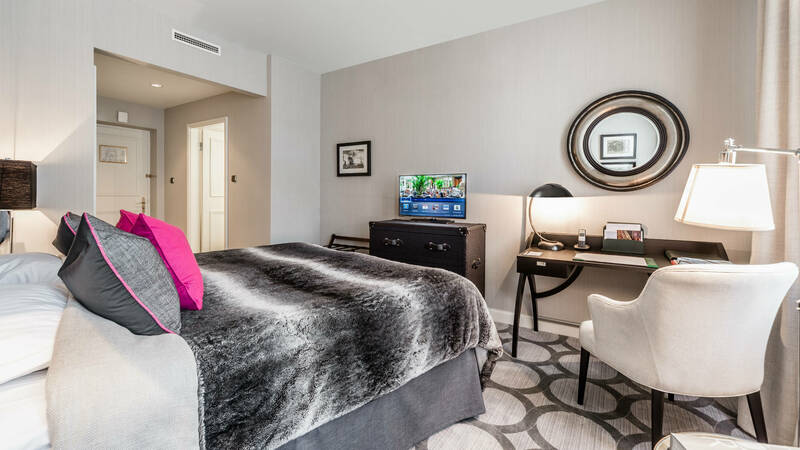 Upon availability it is possible to book a smoking or a non-smoking room with connecting doors to a Business King Room or a Junior Suite Twin Room.